Volunteer work with kids can be a great way to boost your CV, especially if you have not been in paid work for a while. Many stay-at-home mums and dads of young children find that when their children are old enough to be at full-time school and they want to return to work, their ‘time out’ of paid work can be a hindrance. This can be because of various reasons, but the most common are because they feel ‘out of the loop’ of the workplace and their confidence has taken a knock. Voluntary work is ideal for solving these common issues, as not only does it enable you to write something constructive and tangible on your CV, if gives you a sense of purpose while your children are at school. At the time of writing, the Disclosure and Barring Service (DBS), checks required for working with children in any way are still very, very stringent, although the Government is talking about loosening the grip slightly in order to maintain child protection but free up the system to encourage voluntary workers to apply. What Type of Voluntary Work with Kids is Available? But what type of voluntary work with kids is available and how do you write about it on your CV? After school clubs are perhaps the most likely source of voluntary work opportunities, with DBS checks clearly a pre-requisite, although usually the organisation covers the cost of the check. Popular clubs that have branches across the whole of the UK include Cubs, Scouts, Girl Guides, Badgers and Beavers. Sports clubs are also popular, such as swimming clubs, gymnastics and dancing. Please note that you do not have to be a qualified teacher to assist at clubs like this, and they are often crying out for responsible, enthusiastic adults to help with classes. The best way to find out if any of your local clubs is looking for additional voluntary help is to call the leader of your local group – you can find them by looking in the yellow pages or asking at your local library. Perhaps it is worth mentioning that it is preferable that you have some sort of connection to the group rather than just calling out of the blue, so it may be that someone who works as a nurse applies for voluntary work with the Badgers (the St John’s Ambulance club for children), or someone that competed in swimming galas as a child applies to help at the local swimming club. 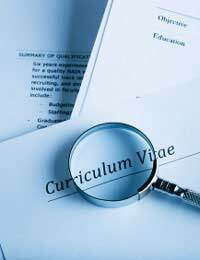 Writing about voluntary work on your CV is something that is worth taking your time to get right. You don’t want to look like you’re making too big a deal out of voluntary work as though it was a full-time job, but neither do you want to hide the skills you’ve learned when they could help you in your career. The best way to handle this is to be honest that it was a voluntary position – too many people forget to put this and then it looks silly when it’s brought up at interview – and then describe the role as you would any other. Start by quantifying your voluntary contribution, such as stating that you assist one leader with a class of 20 children twice a week, and then talk about what your role entails. Think about the aspects of the role that could have a commercial value, such as administrative tasks, financial responsibility and marketing. Write these points clearly and concisely, using accurate facts and figures as you would an employed position. But don’t be afraid to write about the emotional benefits of voluntary work too, to show that you’re not just motivated by money. @Lili - if you are local to the area it might be worth contacting your own local primary school and asking if you could volunteer, as schools generally like someone who has been attached to the school previously. Otherwise, the Do It, link here may help you to find whether any local schools in your area need voluntary teaching assistants. I would like to help!!! I'm interested to work with children who need help at school or other. I am primary teacher in Spain. I am interested in work with children this july as a volunteer. I am a Health and Social Care student BA (Hons) and I am interested in doing volunteering work with children in Manchester. Please tell me what steps I need to follow in this regard.